A solo performance with objects by Annie Forbes. Originally produced by the New Zealand Puppet Theatre, Out of Hand is an original piece of theatre for actor, dough, fridge, eggbeater, potato masher, stove, marmite jar, dolls, birdcage and birthday cake. In 1989 Annie Forbes had long desired to use puppetry as a means to explore her subconscious world and discover the personal mythologies that lay within. 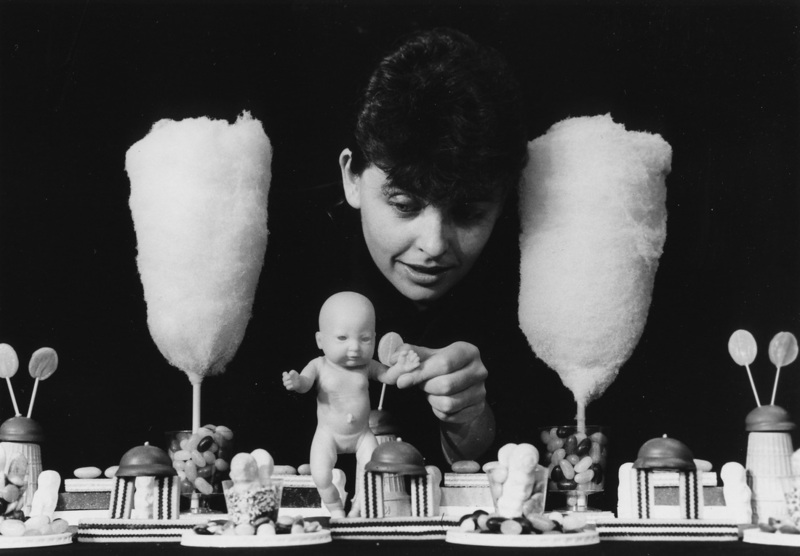 She was introduced to the possibilities of this kind of exploration with objects while studying with French master puppeteers Philippe Genty and Mary Underwood. Collaborating with Nick Blake gave Annie the opportunity to create a work that was totally drawn from her inner resources. Drawing on object theatre, Laban techniques and visualization, together they invented a creative process that lead to discoveries about the relationships between object and animator, object and self, animator and self. Out of Hand is a dream. Its about birth, baking and babies. Its about what it feels like to be in those processes.